Beaches are probably the feature of Harris that impress most visitors. The colour of the water, even on a dull day, and the purity of the sand are simply stunning. 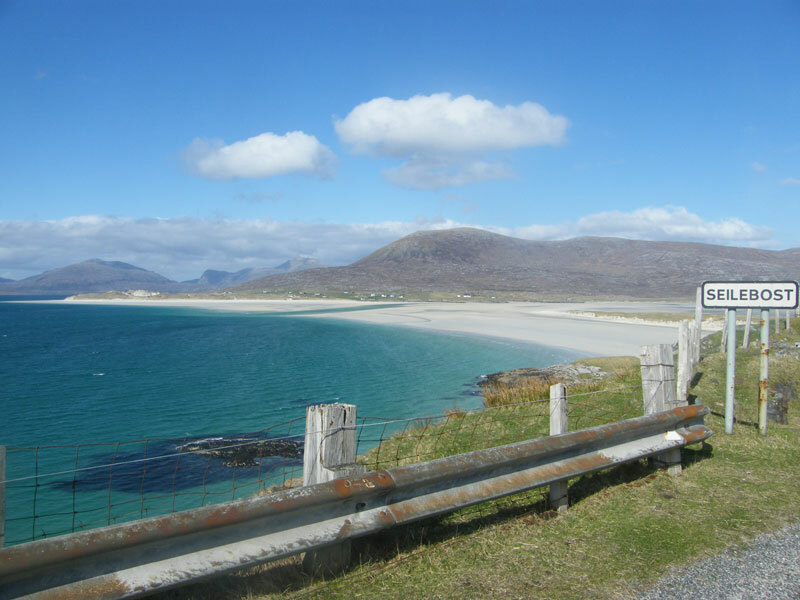 The beaches range from the huge expanses of Traigh Losgaintir (Luskentyre) and Traigh Sgarastaigh (Scarista) to little sheltered coves beside the road at Na Buirgh (Borve). Behind the beaches are the machairs – green grassy plains covered in a mass of wild flowers in the summer. The images probably don’t do justice to the wonderful colours and sheer size of the beach area.